I don’t smoke Padron as often as I should. At least, that’s the conclusion I come to after sitting down with the Padron Serie 1926 No 90 Maduro. 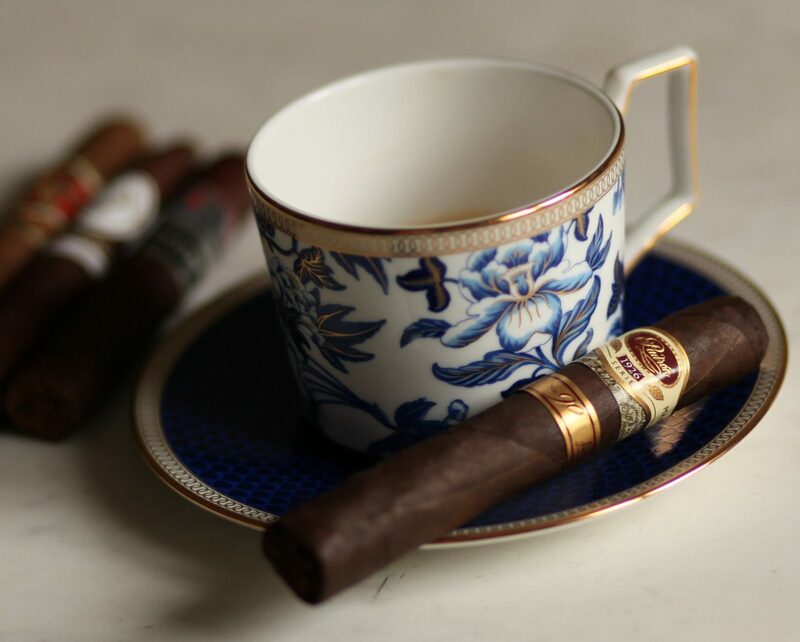 Released in 2016, the cigar commemorates the 90th birthday of Jose O. Padron, and, like the regular 1926 and 1964 lines, the Padron No 90 comes in two versions, maduro and natural. At a little over $20 a piece, this isn’t a cheap cigar. Then again, Padron isn’t known for making cheap cigars, right? The Padron No. 90 maduro is presented in a dark red, cream, and gold double band. Like other Padron cigars featuring Maduro wrappers, the wrapper here is very rough , textured, and toothy. The cigar has a slight give when squeezed and seems packed evenly, but is by no means perfectly straight. Off of the foot are bright, dry notes of cocoa powder, cinnamon, dusty wood, and a savory cured meat note. The draw is fairly relaxed, and a cold draw reveals notes of spice, leather, and earth. 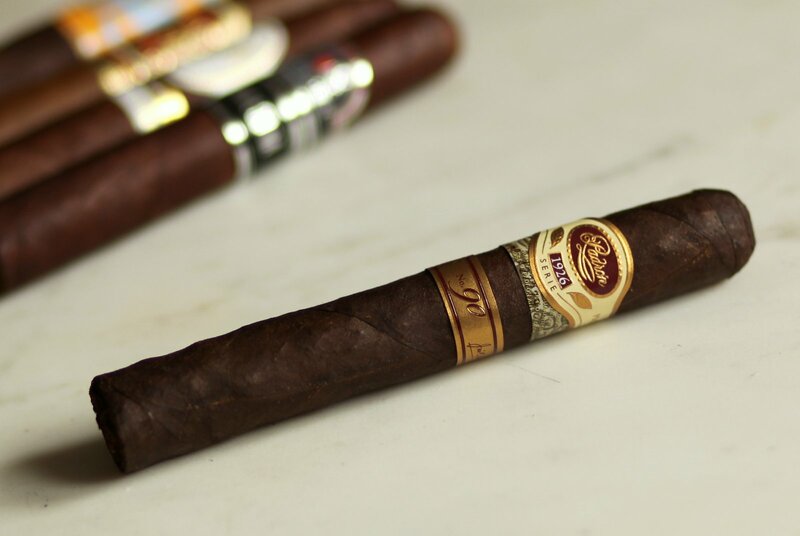 The Padron No 90 Maduro opens with plumes of rich, flavorful, full bodied smoke that’s characterized by black pepper, charred wood, salted dark chocolate, and a dark cherry note. The aroma is extremely strong, with intense wood, burnt meat, and pepper tones. Like many other Padron maduro blends, I find my salivary glands getting activated the moment I start puffing. The smoke is just so flavorful that it’s impossible for my mouth not to water. At about an inch in, I’m regretting forgetting my glass of water inside the house, but I’m enjoying the cigar too much to get up and rectify the situation. The burn is perfect and the ash is holding very strong. I’m also grateful to find that the strength of the pepper has dropped a bit, replaced with a very sweet creaminess that offsets the dried wood nicely. The retrohale on the other hand is completely overpowering so I use it sparingly. As the cigar burns into the second third, the strength and body settle down to medium. The sweetness in the first third is counterbalanced by a bitter espresso note, while the retrohale (thankfully) tones down a bit, allowing me to enjoy the retrohale along with the notes on the palate and in the aroma. Construction stays steady, with just a bit of waviness on the burn. The final third remains anchored with core notes of dark chocolate, wood, cherry, and black espresso, though a nice salted butter note edges its way in for a few minutes. I really enjoy the retrohale as well. It rates medium in terms of strength, but loses the dry wood and spice edge that to me was way out of balance, even for an after dinner smoke. The Padron No 90 Maduro is a hell of a cigar. It gets a bit out of balance in the first half, particularly on the retrohale, but its positive qualities outweigh that issue. It has strong, discernible flavors and a good amount of complexity, making it a worthwhile cigar to purchase, particularly for full bodied cigar smokers.